I'm looking at 52542 Ford on www.realestateone.com.com and would like some more information. Awesome Chesterfield location with wooded backdrop, with no neighbors behind you. Move in ready brick ranch. Beautiful kitchen with granite counters, tile back splash, newer stainless appliances and pantry. Bay door wall in dining area. Great room with natural fireplace, and cathedral ceiling. 1st floor laundry with laundry sink and cabinets. Two full baths. Beautiful hardwood floors in entry, kitchen, and dining. Plantation shutters. Beautiful built in bookcases in spare bedroom. Large concrete RV parking with 30 amp outlet. Large above ground pool with two-tiered deck with gazebo, perfect for outdoor living or entertaining. Fenced backyard. Sprinklers front and back. Roof new in 2012. Convenient location, close to 94, shopping, and restaurants. 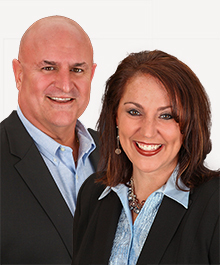 Our Michigan real estate agents can answer all of your questions about 52542 Ford, Chesterfield Township MI 48047. Real Estate One, Max Broock Realtors, and J&J Realtors are part of the Real Estate One Family of Companies and dominate the Chesterfield Township, Michigan real estate market. To sell or buy a home in Chesterfield Township, Michigan, contact our real estate agents as we know the Chesterfield Township, Michigan real estate market better than anyone with over 100 years of experience in Chesterfield Township, Michigan real estate for sale.